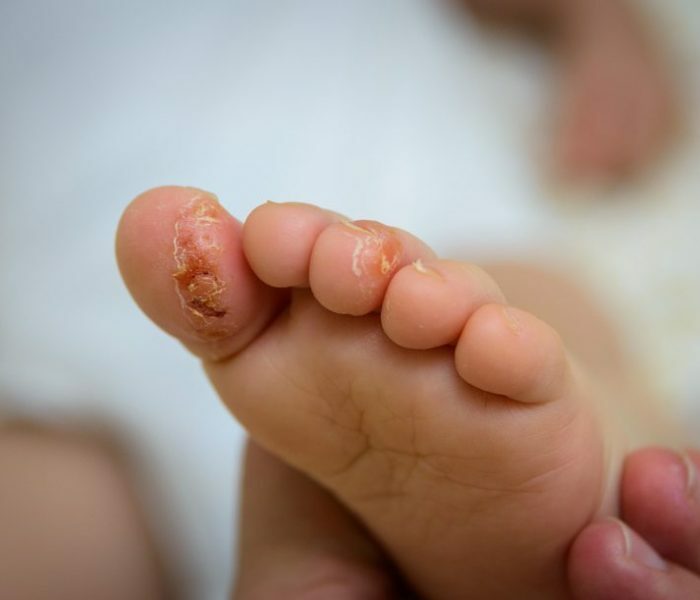 Can foot rashes occur to anyone? On which part of the foot do these rashes occur? What are the home remedies available to heal rashes? What are the alarming symptoms of rashes? Rash is a noticeable change in the texture or colour of your skin. It creates reddishness and your skin becomes itchy, scaly and bumpy too! Skin is sensitive to certain environments which gradually develop into rashes if not addressed timely. This damage to outer layer of skin due to contact with chemicals such as household cleaning products, detergents, cosmetics, dyes, filthy water, industrial chemicals or even if the foot stays covered and sweat daily. The symptoms may vary from person to person according to length of exposure and potency of irritant. If you keep the skin clean and dry all the time then the probability of occurrence of rashes will decrease. 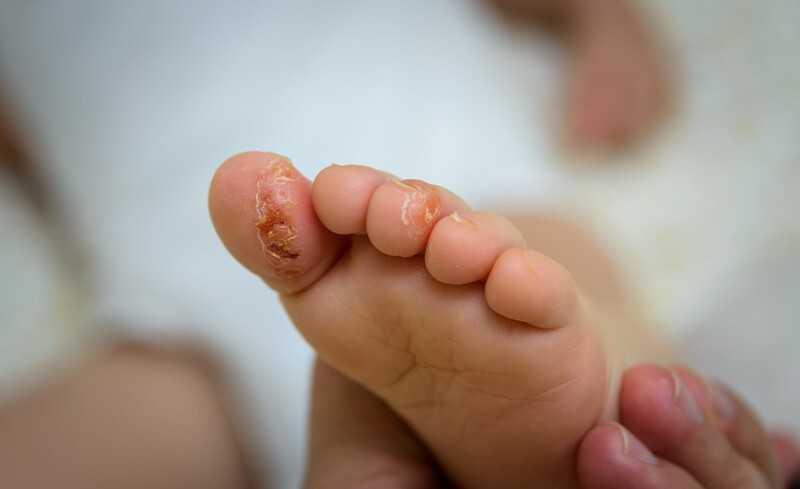 This post is to discuss all about foot rashes so that you can understand how to detect and treat them in timely manner. 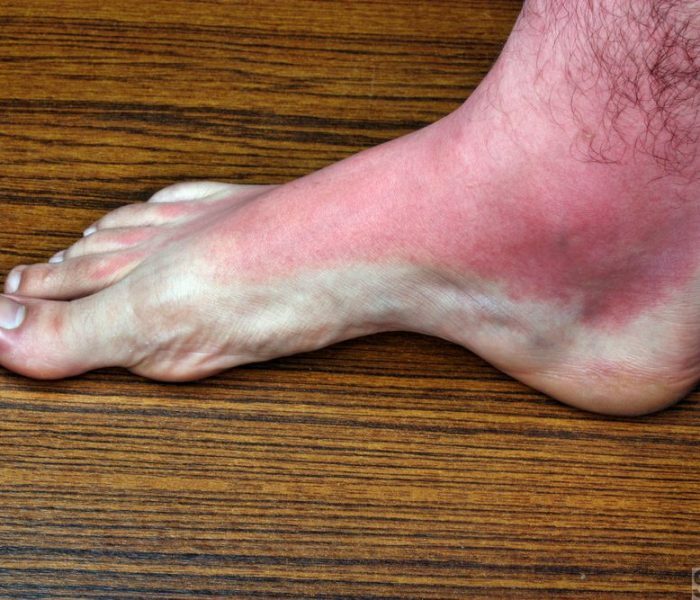 Yes, foot rashes can occur to anybody! But generally it happens due to allergies, side effect of medications or even an after effect of certain diseases such as chickenpox and measles. It can also happen due to foot being exposed to public saunas, gyms, fitness centres which we will discuss in the coming sections. Moist and warm condition of foot also makes the skin soft and prone to rashes. Using dyes in clothing: Dyes have an adverse reaction on some of the skin types as they contain different preservatives and artificial colours. Touching poisonous plants: Sometimes mistakenly we touch poisonous plants such as poison oak, ivy, sumac etc. These plants leave behind some excreta which creates rashes on the skin. Using products with artificial ingredients: Cosmetic products such as soap, detergent and beauty products contain lot of chemicals for durability. These chemicals can react opposite to the screen and become one of the causes of developing rashes. Side effects: Dose of harsh medications blurts out the heat of body in the form of rashes on your skin. Allergic reaction to the medication can also lead to rashes on foot skin surface. Indigestion: Some of the edible acids and oils also react to your skin and develops rashes as they are not digested by body easily. Therefore it creates itchiness and thus develops rashes. Diabetic foot rash: It is rare but people with diabetes can also see blisters or rashes in between toes and fingers. These rashes can be red, red-brown or skin coloured. 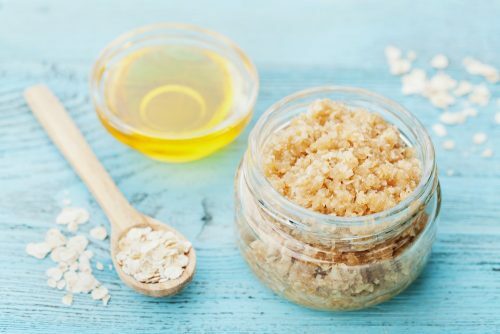 People with diabetes have an increased risk of developing skin problems or complications because the high content of sugar start to eat up the skin cells making it prone to skin infections. 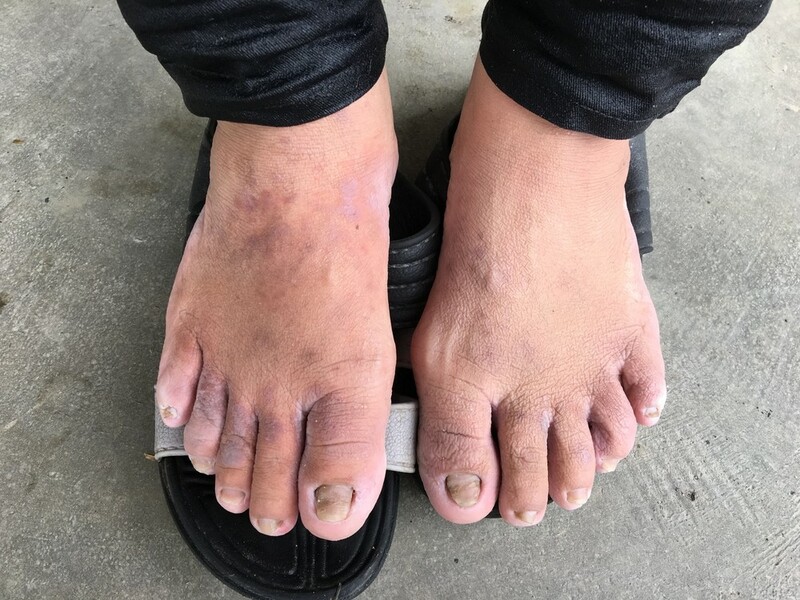 Diseases: Just like diabetic patients, people suffering with asthma or some of the autoimmune diseases also suffer from these itchy marks on foot. 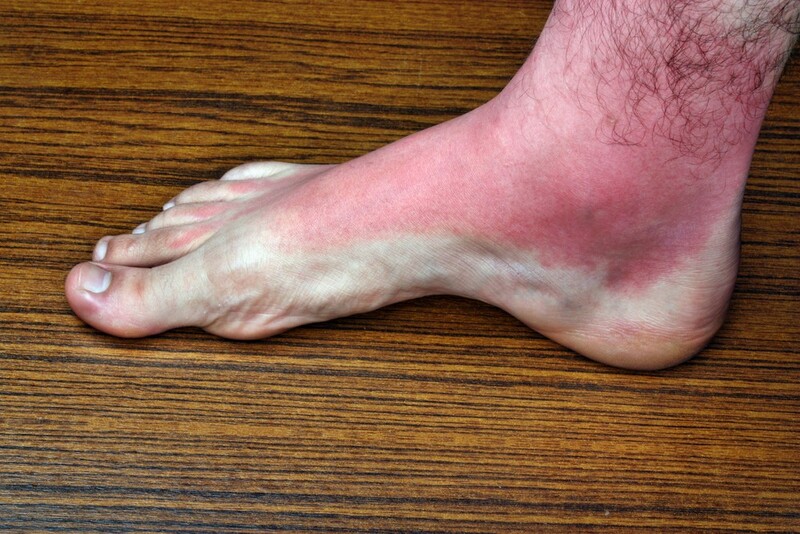 Generally foot rash can occur anywhere on the foot! Some just affect toes or heels while other occurs on top and bottom of feet. But sometimes you may see rashes along the sides of the foot near the bottom without any sort of rashes on any other part of the foot! Although these are also rashes but they are commonly known as Athlete’s foot rash. It often targets the space between the toes or along the side/bottom borders of the feet. 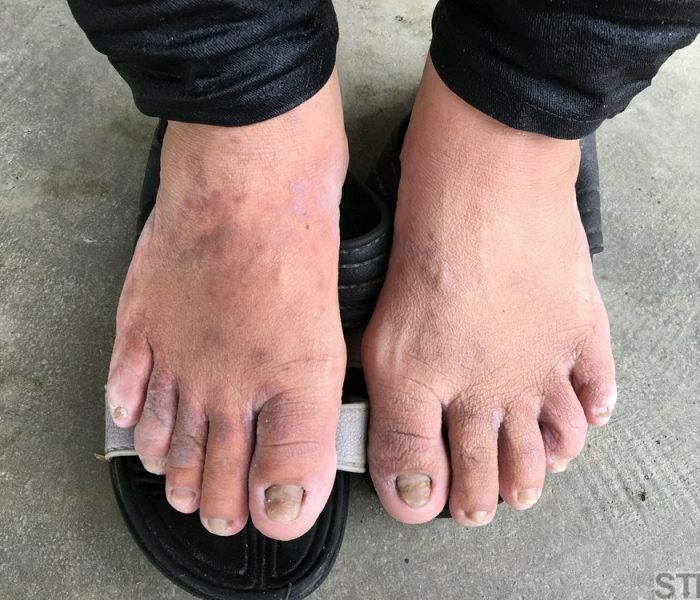 These rashes occur because of fungal infection which is highly contagious and is contracted by people walking barefoot in humid areas such as locker rooms and fitness centres. These are also known by the name of tinea pedis as it ring-shaped. But these itchy rashes can occur on any part of the foot and can be chronic; hence it is necessary to get an accurate diagnosis for them. These rashes are very irritating and itching and it is required that they should be taken proper care so that their treatment is not ignored. Few foot rashes are not harsh and thus they fade away with time like the ones caused by indigestion of certain products. But the ones which are caused due to allergies or side effects need to be addressed in timely fashion. Natural ways to treat these rashes ensure that there will be no further side effects and are quite easy and quick to implement. So here below are some of the guidelines to ease comfort and speed up the healing process. Baking soda bath: Baking soda is a natural cooling agent and gives a soothing relief to itching rashes. Just mix the baking soda in cold/ room temperature water and soak your foot for about half an hour for maximum relief. It would provide relief to your burning skin and also help in healing them. Be sure of not using hot water as it can worsen the itchiness. 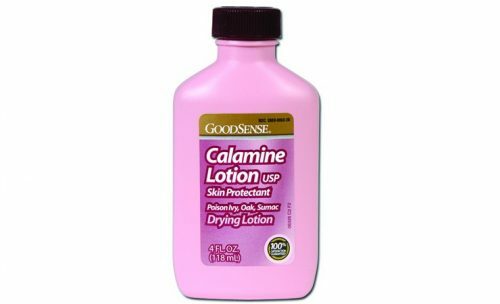 Dabbing calamine: This is one of the common lotions which is present in medicine cabinet of every mother. Calamine is an anti-itch lotion which gives cooling effect to the skin and then evaporates. It is one of the known and all time available quick treatment for rashes. 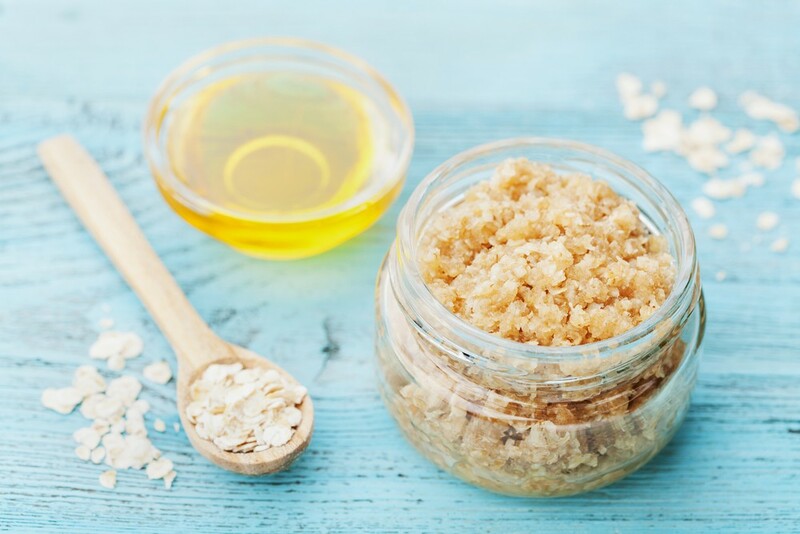 Oatmeal bath: Oats are a complete package of health benefits. While they are good for diet and immune system, taking an oatmeal batch can also relieve you from foot rash itching. This is because oats contain agents which help in moisturising the skin and provides relief from inflammation. Just add two cups of colloidal oatmeal into warm water (not hot water) and soak for half an hour for about a week to see the difference. Apple cider vinegar: This vinegar has anti-septic and anti-fungal properties which help in pulling out the infectious toxins from the skin and give relief from rashes. It balances the acid base level of the skin and provides natural moisture to the skin to combat with fungal infections causing rashes. Moisturising: While you must be having habit of moisturizing your other parts of body but ensure that you moisturise your feet also equivalently. We always tend to ignore moisturising feet but that is an important thing to do. Don’t put on scented moisturisers as they contain artificial agents which can damage your skin. After you put on the moisturizer, wear socks if your feet are dry and scaly to retain the moisture. Never rub the rash, always just pat dry it as rubbing can make them spread. Don’t use the same towel which you used for drying water on your rashes on other parts of your skin as some rashes spread through the germs. We understand that it itches a lot but avoid scratching the rashes as it can also increase the infection. If possible then don’t cover your foot rash that itches with a cloth for the time being. Keep it open and let the rash breathe. Stop using any cosmetics or lotions that you doubt might have triggered the rash as their continued usage with only make the situation worse. It is always advisable to take first opinion from a doctor to know the exact cause of the itchy foot rashes. It is because the rashes may have occurred due to some infection or allergy which needs some doctor recommended foot rash cream. There are anti-fungal medications available to treat rashes like Athlete foot. The medical ointments contain urea or lactic acid which can help in reducing swelling. It is necessary to seek guidance from your primary doctor before rashes start giving alarming symptoms. These home remedies are to be performed additionally to heal the rashes quickly. Doctors would also be able to advice on actual cause of foot rashes and you can try avoiding indulging into those activities to prevent them from occurring again in future. 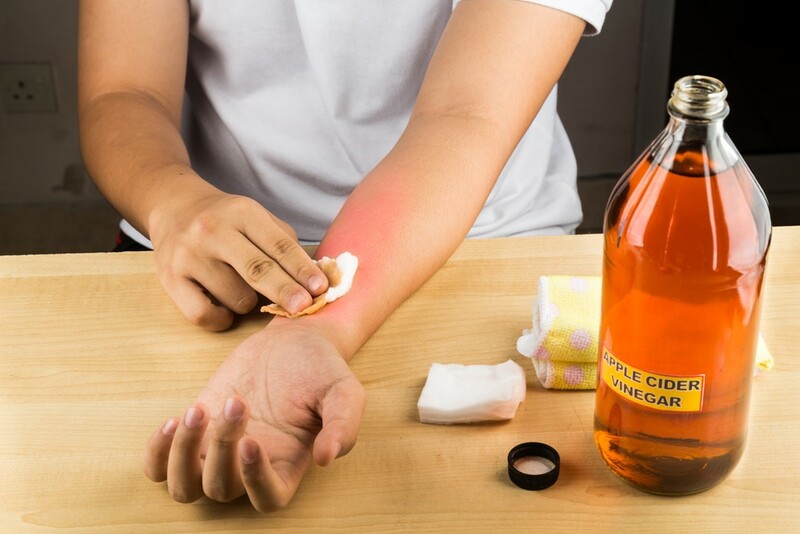 Although rashes are alarming and you should visit the doctor as soon as you notice them occurring on the surface of your skin but sometimes the rashes are not too intense and thus you may try to delay a little. But if the symptoms are mentioned below then that calls for alarming action and you should not delay seeing doctor. So if you are suffering from rashes then go through foot rash pictures available on the web to discover the cause of these rashes. If the itching, swelling and bumping are increasing then see your doctor immediately. You can also try some of the home remedies but if the infections are severe then it is better to consult your doctor first. Carefully follow the treatment prescribed by doctor and speak to him if these hand and foot rashes persist even after treatment.